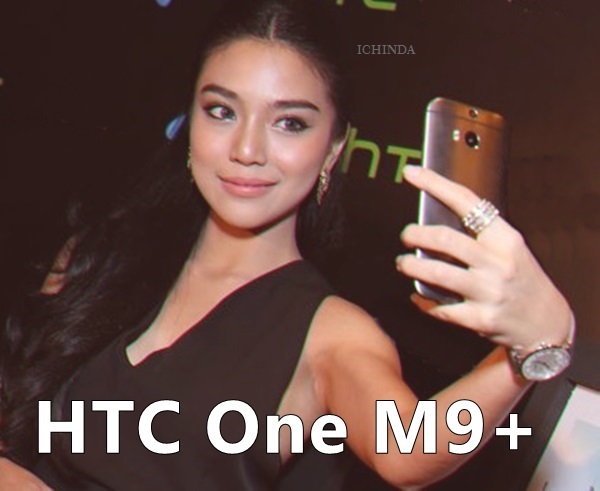 HTC One M9+, the dream gadget finally debuted in Chines market on 8th April featuring huge 20-MP Camera, Fastest Octa-core SoC along with HTC One E9 Plus and HTC One E9. If rumors come true HTC One M9+ will go on sale by Q2 2015 in Gunmetal grey, Amber Gold, and Silver Gold colour variant get sure it will cost you Approx $1000(Approx. Rs 60,000). It will take on Samsung Galaxy S6 and Apple iPhone 6. The all new HTC One M9+ supports Fingerprint sensor, Single SIM, Nano SIM with 4G (FDD and TD-LTE), Wi-Fi, Bluetooth 4.1, Stereo FM radio with RDS, GPS/ A-GPS and NFC offer you a bigger 5.2-inch Full qHD (1440×2560 pixels) display with Corning Gorilla Glass 4 delivers stunning color consistency from almost any angle perfect for watching movies, playing games and reading e-books. HTC One M9+ runs on Android 5.0 Lollipop with HTC Sense 7.0 skinned on top powered by 64-bit 2.2 GHz octa-core MediaTek MT6795T processor promising superior gaming environment and blazing multi-tasking while 3GB of RAM, 32GB Internal memory expandable up to 128GB via MicroSD card offers enough space to store your date. HTC One M9+ sporting huge a 20-MP Primary depth-sensing camera with dual-LED (dual tone) flash, f/2.2 lens for shooting no need to buy DSLR Camera while 4-UltraPixel front-facing camera perfect for video calling and clicking selfies. It also packed with a 2840mAh battery promising enhanced battery life including HTC BoomSound speakers with Dolby Surround sound. HTC also going to launch mid-range Octac-roe smartphone, all new HTC One E9+ in Q2 priced around $300(Approx. Rs 18,000) in Classic Rose Gold, Meteor Gray, and Gold Sepia colour variant. HTC One E9+ supports Dual-SIM(GSM+GSM), Nano SIM with 4G (FDD and TD-LTE), Wi-Fi, Bluetooth 4.1, GPS/ A-GPS and NFC offer you a bigger 5.5-inch Full HD (1440×2560 pixels) display with Corning Gorilla Glass 4 delivers stunning color consistency from almost any angle perfect for watching movies, playing games and reading e-books. HTC One E9+ will run on Android 5.0 Lollipop with HTC Sense 7.0 skinned on top powered by 64-bit 2.0 GHz octa-core MediaTek MT6795 processor promising superior gaming environment and blazing multi-tasking while 2GB of RAM, 16GB Internal memory expandable up to 128GB via MicroSD card offers enough space to store your date. HTC One E9+ will sport a 13-MP Primary camera with LED flash, f/2.2 lens and BSI sensor and 4-UltraPixel front-facing camera offers you the best video calling experience and clicking selfies. It also packed with a 2800mAh battery promising enhanced battery life including HTC BoomSound speakers and Bluetooth 4 measures 156.5×76.5×7.49mm and weight 150gm. At last few honest word from heart that upcoming HTC One M9+ is the best gift for smartphone lovers. What you think? Please be open to give your view.